This article is a follow-up to the Croydon cat killings which have occurred for more than three years in Southeast London. Michael (PoC) has covered the killings extensively and those articles can be found here. 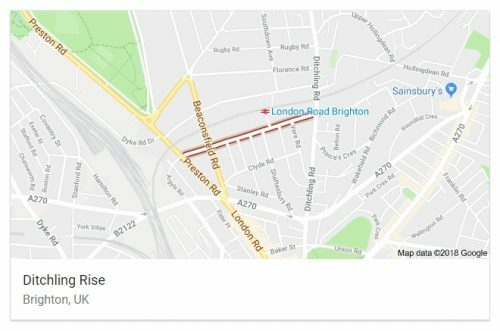 Since September 2018 two cats have died after being stabbed and another five were attacked in Brighton. Not only is the person responsible a danger to cats who have to fend for themselves outside, but people are at risk as well. All of the new incidents were reported close to Ditchling Rise in central Brighton and are believed unrelated to the Croydon cats. Seven more cats injured or killed by stabbings and not caused by foxes, as was the case with the Croydon cats. PC Andy Chapman says the incidents are being taken seriously and the local action team at North Laine has been informed of the distress caused to both owners of pets as well as to the pets themselves. Tony Jenkins with South Norwood Animal Rescue Liberty has been investigating suspicious cat deaths across the southeast. Jenkins believes the Brighton attacks are unrelated since the cats had been stabbed, which would mean a human is behind it. The Croydon cats were missing heads and tails and foxes had been viewed on video depositing cat remains in public places. Foxes are notorious for eating the organ meat (as many scavenging animals do) and leaving the head and tail behind. “Without a shadow of doubt, there is a pattern of behaviour around the killings. Police have resource issues with funding cuts and couldn’t afford to investigate further and they took the easy route to blame foxes. There is clear evidence to suggest human interaction and we are continuing to investigate. 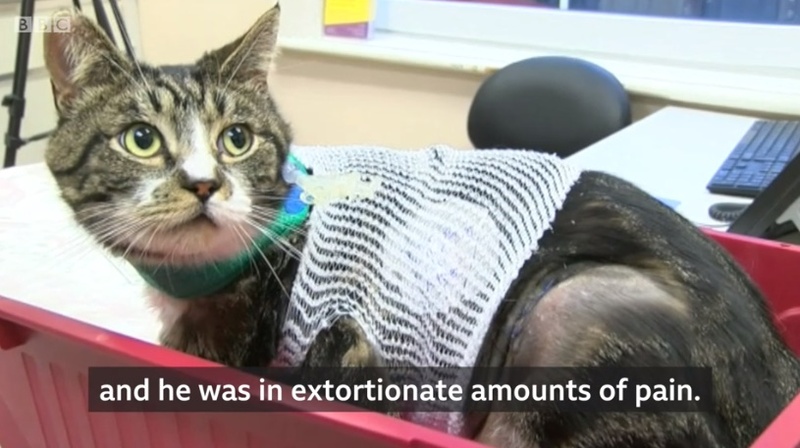 The BBC spoke with cat owner Seanin Mouland today as she was reunited with her cat Samson, who was stabbed in the stomach and had to undergo two operations to save his life. Samson’s owners turned him over and found a very clean wound to his stomach. From what I gather from reading all of the information available, we have a new and different killer. The most troubling thought I have is that the cat killings will continue, as the killer knows the police are pressed for funds to investigate suspicious cat deaths. Let’s hope the authorities in Brighton act quickly on this. 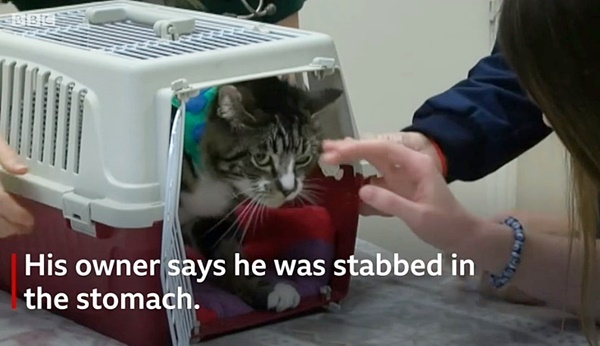 A person who doesn’t hesitate to use a knife on a cat most likely won’t hesitate to use it on a person. Cat owners, please keep your cats inside. My nerves would be shot to have a beloved cat wandering the streets and not knowing if he’d make it home alive each night. You’ll be saving yourself a lot of heartache while protecting your cat from pain or death. This entry was posted in Cat News and tagged animal abuse, cats killed, croydon cat killer, foxes, The Articles of Elisa Black-Taylor by Elisa Black-Taylor. Bookmark the permalink. So aside from inane arguments that cats have a right to roam what’s going to convince these guardians that they need to protect their animals and keep them at home and inside when not supervised. As sickened as I am by the person attacking the cats I don’t have much better to say about these bawling owners that are letting their helpless house pets wander. Different country, different culture. We used to have a country that was more accommodating for domestic cats. In the last 30 years the tone of these isles has changed. The country has changed, become angrier, more intolerant of all life. Cats are an easy target. The know how of keeping cats enclosed is gradually spreading. But it is slow. I expect horses get slashed in your country too, as sadly they often are, wherever equids are domesticated. Are all those who keep equines outside who are tragically mutilated to be so harshly labelled? There are friendly horses who are shot during the night. No one knows why. The owners go out to check on their horse and it’s dead. The Met police shut down Operation Takahe (dedicated to solving the case of the UK Animal Killer) due to funding issues and the involvement of a misinformed old scientist, whose security of tenure, seems to depend on him shutting down any police operation devoted to the pursuit of cat killers. This irrelevant old cat hater, has history on this. His opinion on the UK Animal killer appears to be based on old footage of one fox carrying a badly decomposed cat head down an urban street. The misreporting and misinformation published about the UK Animal Killer has been extensive. Thankfully, despite closure of Operation Takahe, SNARL continue to investigate the killings working with professional organisations. Please keep your cats and rabbits inside at night. This killer is still active across the UK. Report suspicious activity and bodies of mutilated cats to SNARL. Contact details for SNARL & reporting instructions can be found on SNARL’s Facebook & Twitter pages. PLEASE KEEP YOUR CATS INSIDE SAFE. Hopefully cat owners will keep their kitties inside.